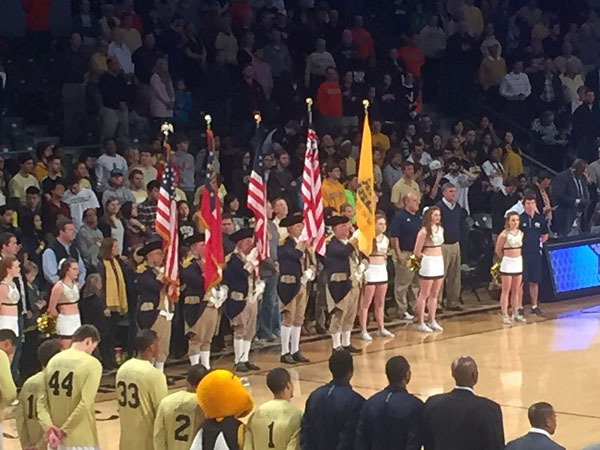 On Saturday afternoon, January 9, Piedmont chapter compatriots Shep Hammack, Bill Kabel, and Bob Sapp participated with Allan Greenly and Wayne Brown as members of the Georgia Society Color Guard to present the colors at the Georgia Tech basketball game.� The "Power of Piedmont" must have been magic, as Tech beat the fourth-ranked Virginia Cavaliers.� The crowd reaction to the Color Guard was awesome, and even the Tech President expressed his pleasure. Shep Hammack, a Tech alum, coordinated and planned the event. Our guest speaker for this meeting was fellow Piedmont Chapter compatriot Tom Chrisman, who spoke to the group about genealogy. 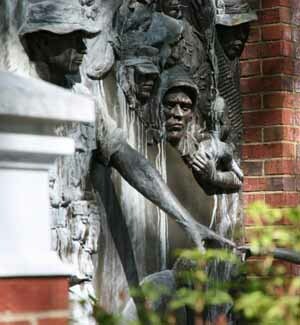 Tom, a professional genealogist and former Piedmont Chapter registrar, provided us with a great look at the depth and breadth that genealogical research can take you in your pursuit of tracing your ancestors. Tom gave us lots of information sources to employ in our research efforts, and encouraged us to continue exploring for additional ancestor relationships that could help expand the SAR database of Revolutionary patriots. Photos | AUDIO - Genealogy - 'Who do we think we are?" Bob Sapp spoke to the attending chapter members and guests about his own patriot ancestor, Jonathan Ogden (1746-1803). Jonathan Ogden was born in Port Tobacco, MD and was a private in the Maryland militia during the Revolutionary War. Jonathan spent most of his life as a tobacco farmer in that area of Maryland where a great deal of tobacco was grown and exported in colonial times. 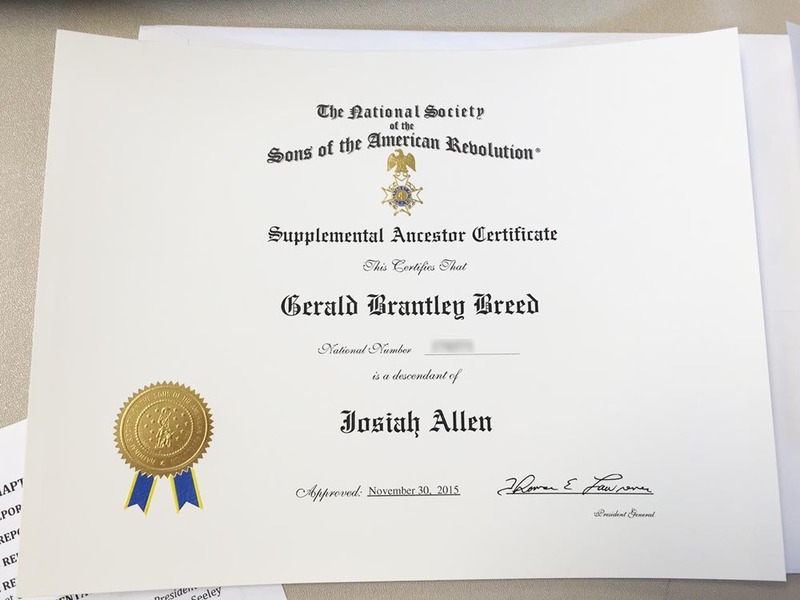 President Bill Kabel presented compatriot Jerry Breed with a supplemental ancestor certificate recognizing his successful research linking Jerry to his patriot ancestor Josiah Allen. President Kabel also inducted our newest chapter member, Craig Benton, whose patriot ancestor was Abner Seeley. The assembled Piedmont chapter members welcomed Craig with a handshake in our traditional manner. GASSAR Annual Conference in Duluth, GA. The Georgia State Society Sons of the American Revolution held its Annual Conference on Friday January 22nd and 23rd at the Sonesta Hotel in Duluth, GA. This event was for all 31 Georgia Chapters. The conference included educational seminars, a photo shoot of the past Georgia Society Past Presidents, a welcome Friday evening reception, a Friday evening members awards banquet, a Saturday morning BOM meeting with election of GASSAR officers for 2016, and a Saturday luncheon Chapter and Youth Awards Banquet, which included the induction of the newly elected GASSAR officers featuring the induction of 2016 President, Allen Greenly. 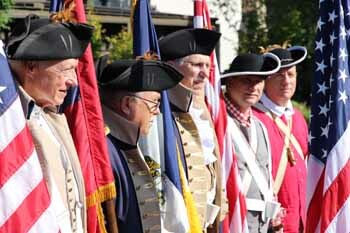 Each year, American Revolutionary War General Elijah Clarke, nicknamed "Hero of the Hornet's Nest" is remembered with his fellow patriots in Washington, GA. SAR Chapters from around the Southeast participate in a Memorial Service, Parade and a Battle Field Reenactment to honor those patriots that fought at Kettle Creek. 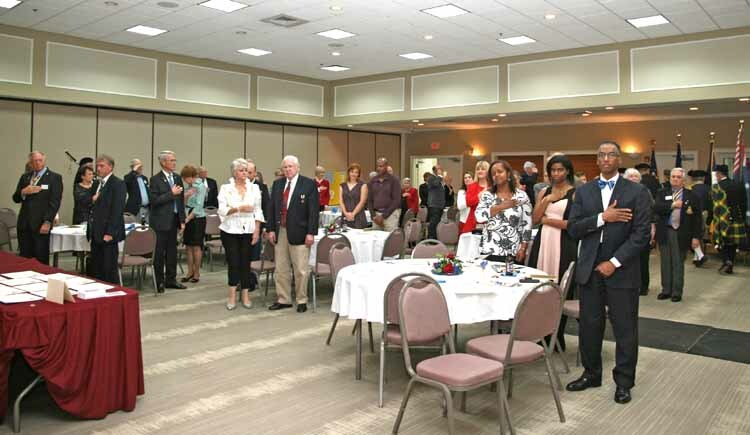 The Piedmont Chapter held it's 22nd Anniversary Annual Meeting and Awards Banquet & Washington's Birthday Celebration on this date at the Roswell Adult Recreational Center in Roswell GA. Members were recognized for their contributions to the Chapter in 2015 and new Officers were sworn in. Special Guests and visitors were recognized by Compatriot Bob Sapp. 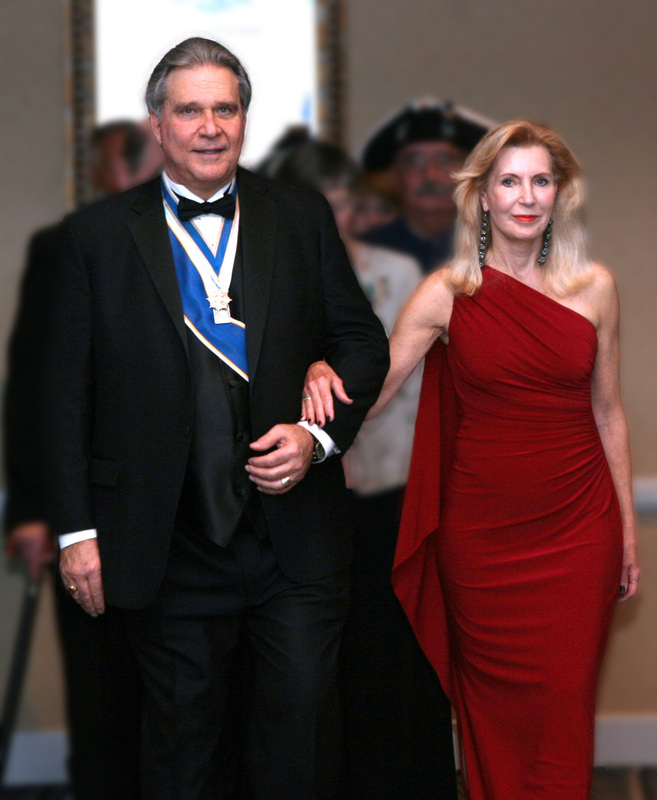 • Past Piedmont Chapter President and National Society Treasurer General, Larry Guzy and his lady, Karin. • JROTC Cadet Alyssa Fountain and her family were accompanied by ROTC Instructor, Colonel Nepute. • Knight Essay Contest Winner, Miss Belaine Jones and her family. 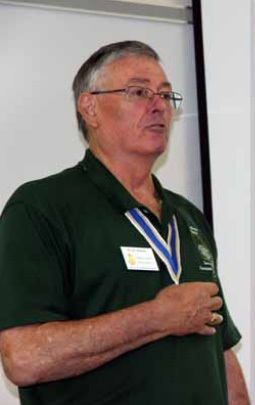 Past Piedmont Chapter Presidents in attendance were introduced by Compatriot Bob Sapp: Bill Lusk (2014), Walt Woliver (2013), Paul Prescott (2012), Bob Shaw (2009), Jim McIntire (2008), Von Starkey (2006), George Thurmond (2002), Larry Guzy (1999), and himself Bob Sapp (2005). Compatriot Sapp presented the 2015 Annual Report to the membership outlining the achievements and accomplishments the Piedmont Chapter had made in the past year. Piedmont Fellows Fund pins were presented to Von Starkey, Sr., Von Starkey, Jr. and John Mortison. Compatriot Carl Bhame lost a valiant battle and passed away on March 10, 2016. 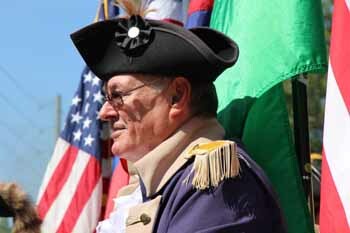 Carl was a long time member of the Piedmont Chapter Sons of the American Revolution, having served as Chapter President, Chapter Vice President, Chapter Secretary, and most recently Chapter Registrar. Carl was awarded the Silver Roger Sherman Medal for his long-time SAR service; but, because of ill health, was not at the annual GASSAR awards banquet in January to receive his honor. 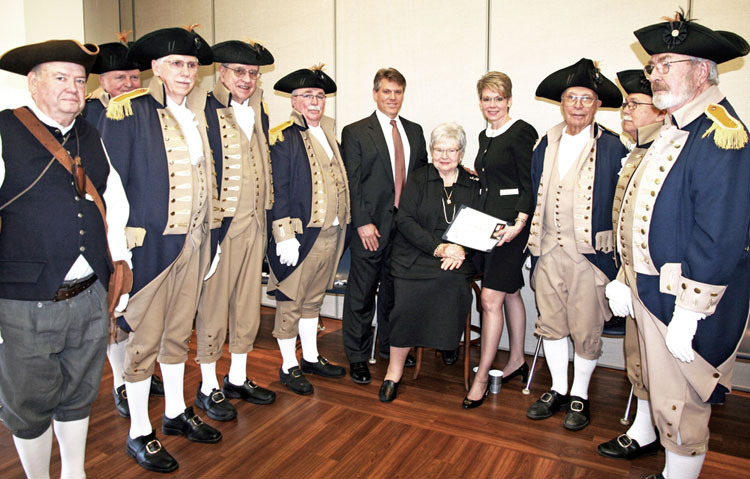 Uniformed GASSAR color guard members, including GASSAR state President Allen Greenly, presented Carl's wife Linda Bhame with Carl's Silver Roger Sherman Medal in a ceremony during the reception after Carl's funeral service on Sunday March 13, 2016. Carl's family Bill, wife Linda, Elizabeth, then Bob Sapp, Shep Hammack, and Paul Prescott. Compatriot George Thurmond gave a very enlightening and enjoyable talk about Carolina Day, also known as the Battle of Sullivan's Island. 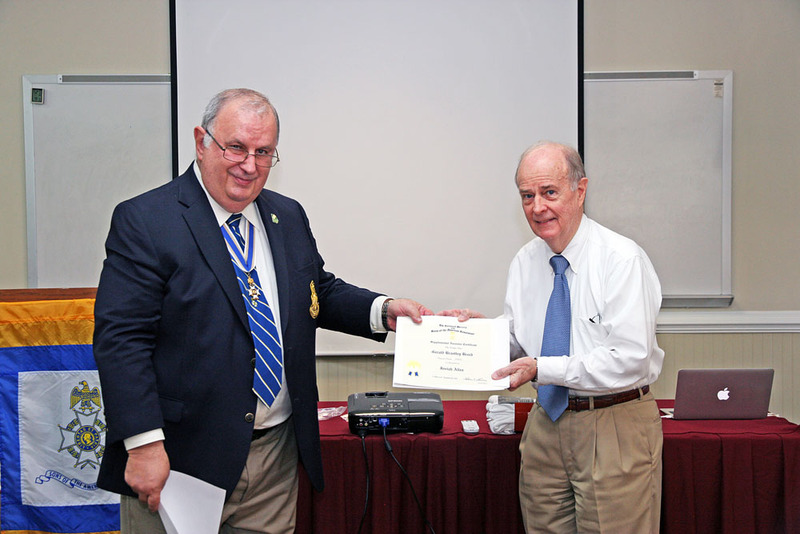  Webmaster Chuck Rann received the Certificate of Distinguished Service for his chapter website work. 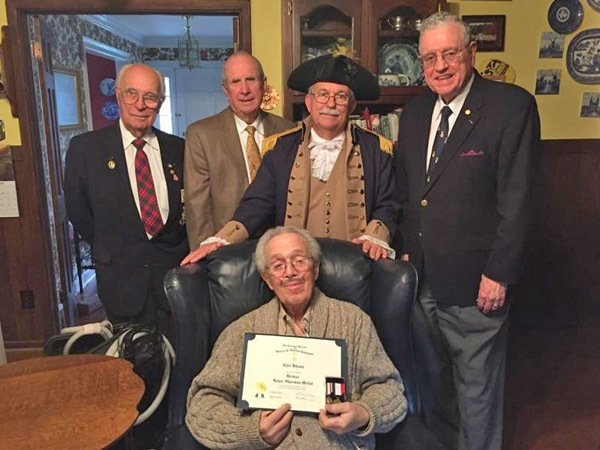  Compatriot Don McClanahan received the National Certificate of Patriotism for military service.  Compatriot Randy Pollard received the National Certificate of Patriotism for military service. Compatriot Bob Sapp presented compatriot Shep Hammack with the Jack M. Martin Membership Trophy for 2015 in recognition of Shep's SAR recruiting efforts. 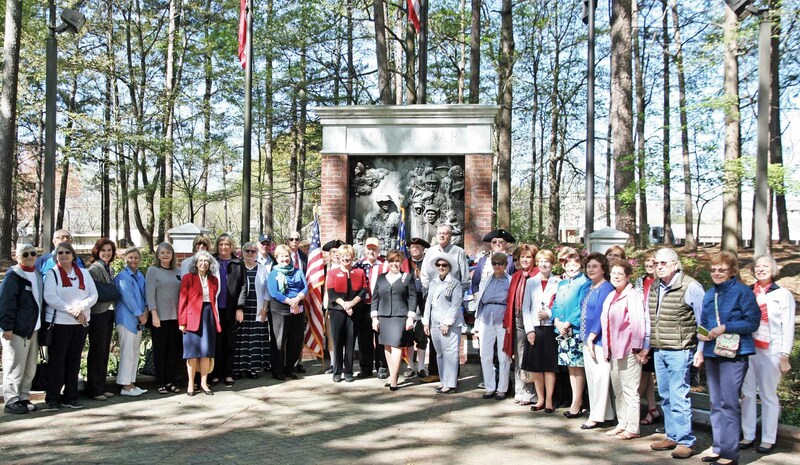 The Martha Stewart Bulloch Chapter of the Daughters of the American Revolution held a ceremony at the "Faces of War" monument located on the Roswell, GA City Hall grounds. The date of the ceremony was March 29th, which was the 43rd anniversary of the end of fighting in the Vietnam War (March 29, 1973). It was a ceremony to honor the Vietnam Veterans and give them the welcome home that they never received at that time. 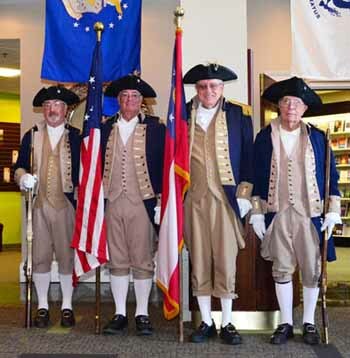 Representing the Piedmont Chapter Sons of the American Revolution, I attended that ceremony in uniform and functioned as Color Guard Commander with members of our color guard Shep Hammack and Randy Pollard to present the colors (US and GA state flags) to open the event. 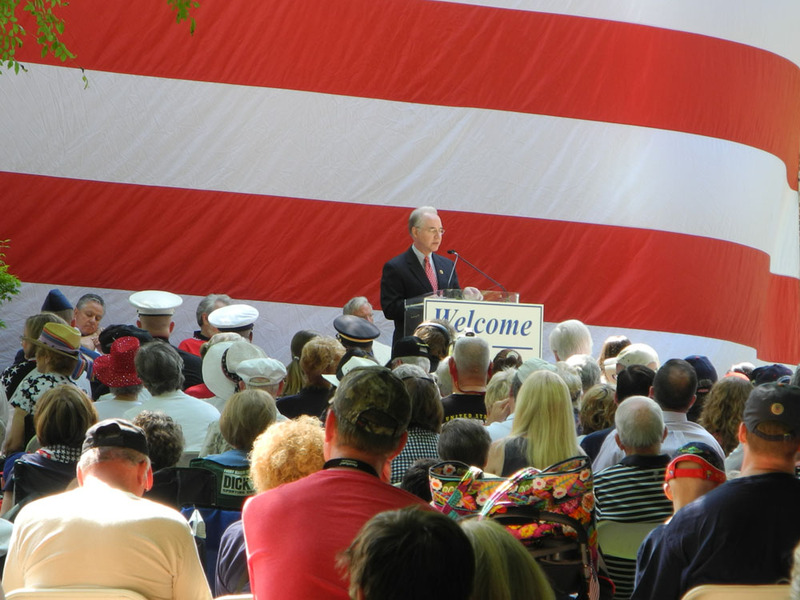 The event was attended by over 34 people, including four Vietnam Veterans and USMC Captain (ret) George Nelson. Captain Nelson spoke to the group about the creation of the "Faces of War" memorial, which he oversaw during its construction. Alisha Nicole Benbow was the 3rd place winner. All were from Fellowship Christian School. April 22, 2016 - Piedmont Chapter color guard members Rick Reese, George Thurmond, and Bob Sapp presented the first place Timber Ridge Elementary school poster contest winner, Mackenzie Crawford with a $50 award - plus an additional $75 for being our overall Piedmont Chapter winner. Two other schools participated in the Poster Contest this year. The Mountain View Elementary School poster contest winner was Meg Dahlby, who received $50 award, and East Side Elementary School poster contest winner, Ava Handler also received a $50 award. 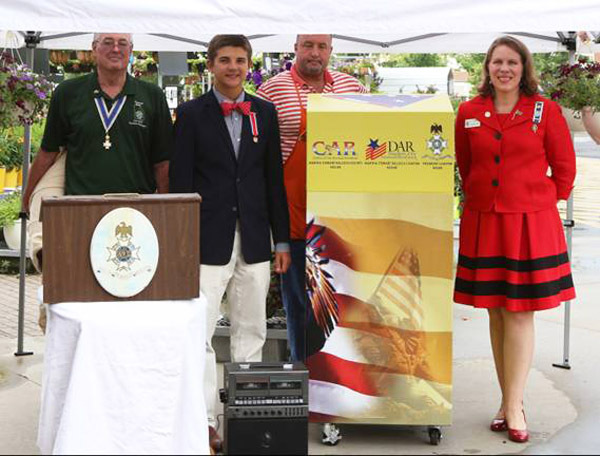 Fellowship Christian school eight grade student, Cole Kroeber, won 1st place in the Georgia State Society Sons of the American Revolution Brochure Contest, which was announced at the SAR State Board of Managers meeting on April 23, 2016. Now his entry will be entered in the judging for the NSSAR award, which will be announced at the National convention in Boston this July. 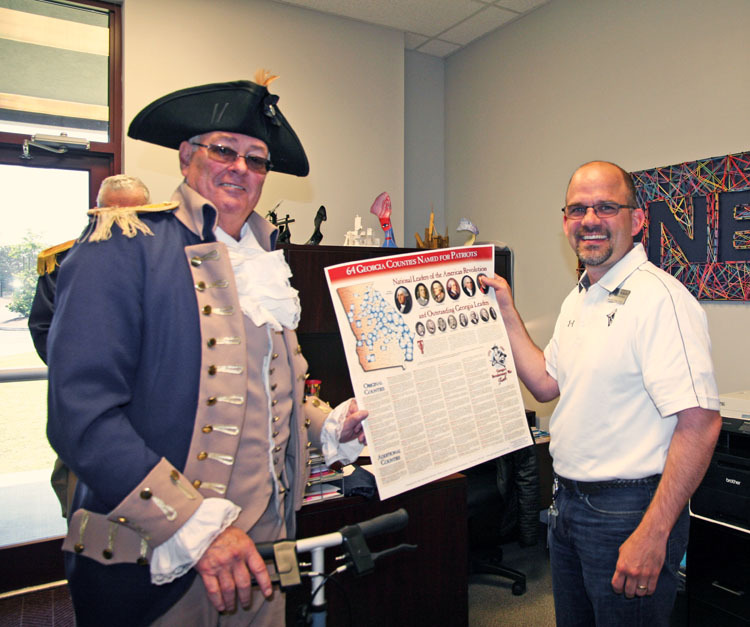 A poster depicting the 64 counties in the state of Georgia named for Revolutionary War patriots or Georgia leaders was presented by chapter President Rick Reese and George Thurmond to Fellowship Christian School Principal, Tony Tacquard. Both Rick Reese and George Thurmond are Charter members of the Piedmont Fellows Fund, which was established for the purpose of funding, supplementing or reimbursing worthy activities, events, or needs of the Piedmont Chapter that are not included in the annual budget. The City of Roswell & the Roswell Rotary Club hosted the 19th annual "Roswell Remembers" event on May 30th, 2016. Several thousand people attended, as did Piedmont Chapter Color Guard members George Thurmond, Paul Prescott, Bob Sapp, Bob McCleskey who presented the colors to open the ceremony. U.S. 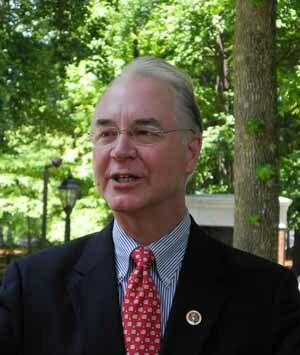 Congressman and Piedmont Chapter member Tom Price led the Pledge of Allegiance and gave the main ceremony speech about the brave men & women protecting America. Along with the Piedmont Chapter, the Martha Stewart Bullock Chapter of the DAR had a shelter to promote the Chapter's and answer questions about our organizations. On Tuesday afternoon, June 14th (Flag Day), a hardy group of members from the Piedmont Chapter Sons of the American Revolution, the Martha Stewart Bulloch Chapter Daughters of the American Revolution, and Martha Stewart Bulloch Society Children of the American Revolution braved the rainy weather to hold a dedication ceremony to place a new Flag Recycling Receptacle at the Home Depot store located at 5300 Windward Parkway in Alpharetta. This project is a joint partnership of all three organizations, and made possible by the cooperation of the Home Depot store management. President Rick Reese opened the ceremony with remarks about Flag Day and the success that the Flag Recycling project has had to date. Piedmont Color guard members Paul Prescott, George Thurmond, and Bob Sapp presented the colors as MSBSCAR first Vice President Devyn Baker led the Pledge of Allegiance. MSBDAR Regent Catherine Jimenez brought greetings from the Daughters of the American Revolution and indicated the chapter's support of this project. MSBSCAR President Rapley Hills brought greetings from the Children of the American Revolution and stated the society's support of this and other patriotic efforts such as this. After the flag receptacle was unveiled as shown in the picture below, members of the C.A. R. placed the first worn flags in the box for proper retirement. Catherine Jimenez delivered a special prayer to close the ceremony. 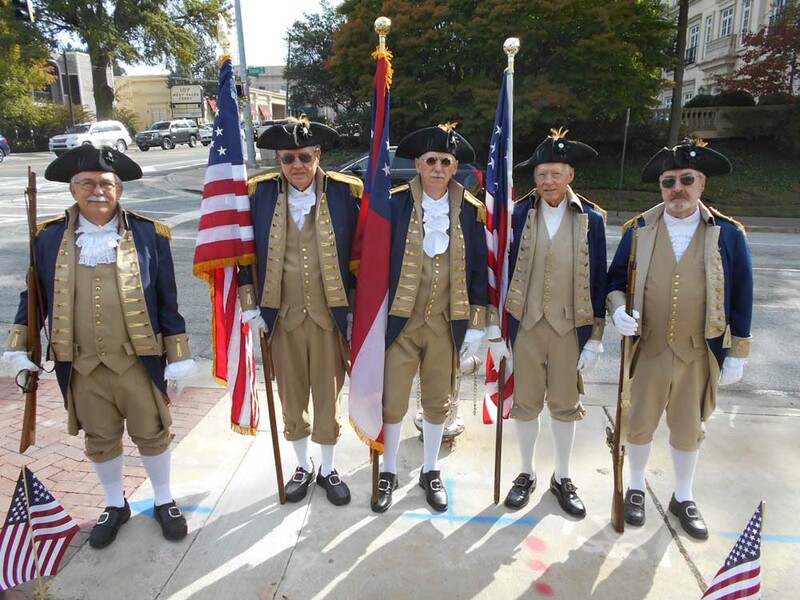 The Piedmont Chapter color guard retired the colors. 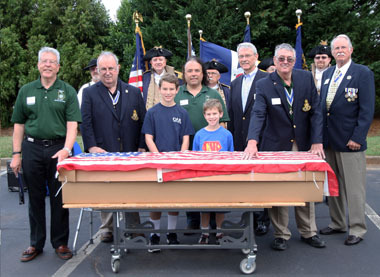 On June 18th at 8:45 am, our Piedmont Chapter of the SAR and the Robert Forsyth Chapter of the SAR held a Flag Retirement Ceremony at the Northside Chapel Funeral & Crematory at 12050 Crabapple Road in Roswell. 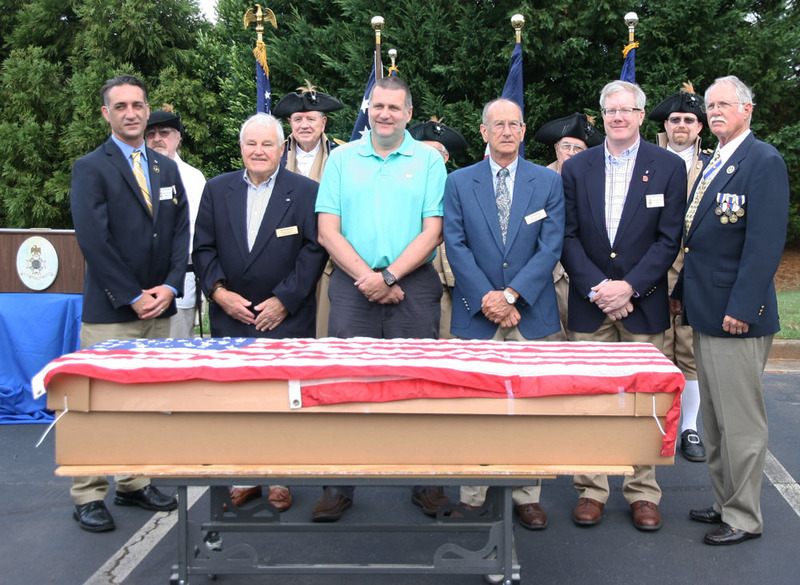 The total count for the flag retirement, including those flags added at the time of the ceremony by attendees, was 1311 flags. Members from both SAR chapters as well as members from the Martha Stewart Bulloch DAR, Martha Stewart C.A.R., and Patriots of Liberty DAR were in attendance. 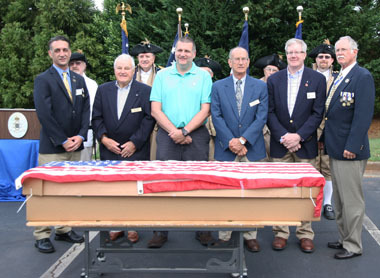 The Color Guard Members in attendance (L to R): Paul Prescott, George Thurmond, Shep Hammack, and Bob Sapp, and Ed Rigel Jr.
Photo Left (Piedmont Chapter) Front row: Rev Bill Floyd, Bill Kabel, Rick Reese III, John Wassell, Rick Reese Jr., and Tom Davis. 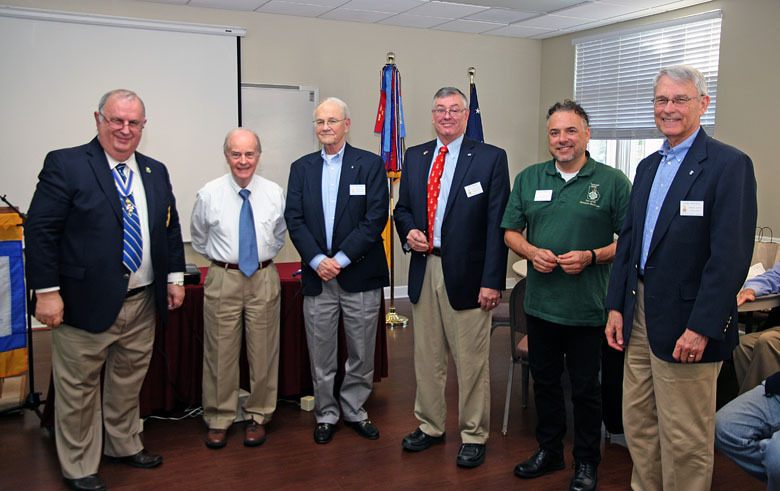 Photo Right (Robert Forsyth Chapter) Front row: Chris Russo, Gene Bryant, Hal Hardin, Ed Dewey, John Flikeid, and past Forsyth Chapter President Tom Davis. On June 18th, our Piedmont Chapter of the SAR and the Martha Stewart Bulloch Chapter of the DAR held its Annual Picnic at Shelter No 1 at the Roswell Area Park. The Rib Ranch supplied the barbecued pork and chicken, cheese potatoes, coleslaw, tea and chocolate chip cookies. Piedmont & MSB DAR members and spouses were joined by members of the Martha Stewart CAR, and The Patriots of Liberty DAR. Good food, good fellowship, some competitive games of Horse Shoes and Corn Hole added to the fun for both the adults and children who attended. On Sunday July 3rd Piedmont Color Guard members Paul Prescott, George Thurmond, Bob Sapp, and Rick Reese presented the colors for two services featuring "Honor Our Heroes" at the World Harvest Church in Roswell. 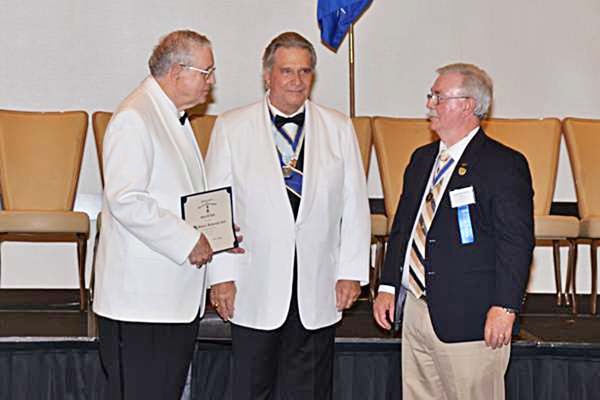 Past chapter President Bill Kabel also attended the ceremony, as has been his tradition in previous years. In addition, the chapter members set up a tent outside the church demonstrating our "Traveling Trunk" program to show visitors what life was like during Revolutionary times. 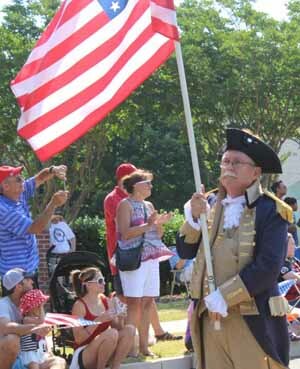 On Monday July 4th Piedmont Chapter color guard members George Thurmond and Rick Reese led the Windward Community Children's Parade after participating in countless photo opportunities for children and adults to have their picture taken with descendants of Revolutionary War patriots. 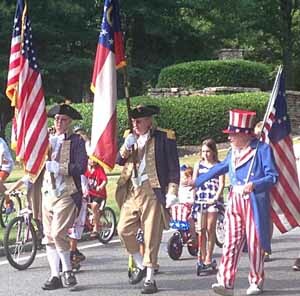 Dual Piedmont Chapter members and now Mount Vernon Chapter color guard members Shep Hammack, Randy Pollard, Tom Chrisman, and Bob McCleskey marched in the annual Dunwoody 4th of July Parade. Following the parades, SAR members Paul Prescott, Bob Sapp, Rick Reese, George Thurmond, John Wassell, Shep Hammack, and John Flikeid participated in the Martha Stewart Bulloch Chapter NSDAR 2nd Annual 4th of July "Celebrate Our Patriots" Ceremony held at the "Faces of War" memorial at Roswell City Hall. 1st Vice Regent Lisa Tobin organized and chaired the event. 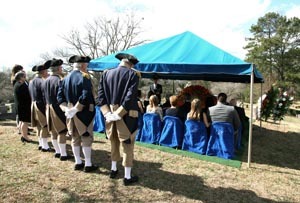 Members of the DAR, CAR, and SAR were given the opportunity to speak of their patriot ancestors and place a flag in a vase at the monument in their honor. Rick Reese placed a wreath from the Piedmont Chapter at the monument. Paul Prescott placed a wreath from the Maine SAR Society at the monument. Shep Hammock placed a wreath from the Mount Vernon Chapter at the monument. 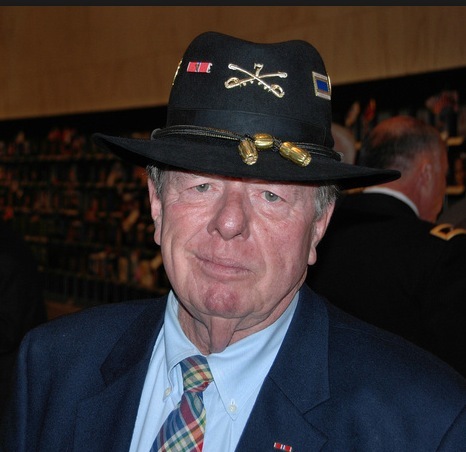 Past President Bill Kabel was the 2016 recipient of the General William C. Westmoreland Award for his strong support of Veterans and the Atlanta VA hospital. The award was announced at the 126th Annual SAR Congress. The event was held between July 8th and July 13th in Boston, Mass. We congratulate Bill Kabel on his award and his service to Veterans! Here is a photo showing George Thurmond receiving the General William C. Westmoreland award from President General Lawrence on behalf of Bill Kabel during the awards ceremony at the 126th National Society Congress. Georgia Society President Allen Greenly is shown on the right. Photo taken by John & Betty Franklin of the Ohio Society, at the recent 126th Annual SAR Congress in Boston Massachusetts. 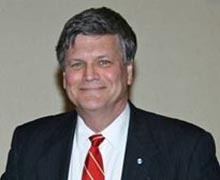 Bill is the Piedmont Chapter Veterans Committee chairman and is a strong supporter of the Atlanta VA hospital with his "Socks for Vets" program. 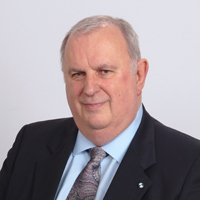 He is a past recipient of the "Service to Veterans Medal" in 2012 for his efforts. Members of the Piedmont Chapter have been generous and caring in their support of veterans. In 2012 when it was learned that the Atlanta VA Medical Center issues a pair of socks to newly admitted patients and to homeless veterans, Bill Kabel and the Chapter responded by establishing its "SAR Socks for Vets" program. Since 2012 the Piedmont Chapter has donated to the Atlanta VAMC over 4,500 pairs of socks. We encourage SAR members and others to donate to this program, and to volunteer their time to VA hospitals or other VA approved Volunteer Services activities. 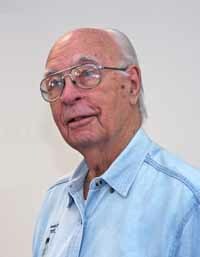 The award is given each year in recognition to an outstanding SAR Veterans Volunteer. This award was authorized by the National SAR in 1996. Bill is a US Army Veteran of the Vietnam War, while General William C. Westmoreland served as President Johnson's Army Chief of Staff of the United States Army. On Sunday, July 31, 2016 Bill Kabel and Rick Reese Jr. had the pleasure of attending the Eagle Scout Court of Honor for Paul Lee. The ceremony was held by the Atlanta Area Council, Northern Ridge District Troop 3143 at the Johns Creek United Methodist Church. Paul's scout troop, family, and friends were all in attendance. Our chapter continues to honor many Eagle Scouts in the Atlanta area, as a result of the efforts of our Eagle Scout committee chairman, Michael Smith. Whenever possible we make the presentation of the SAR certificate honoring these Eagle Scouts in person at their respective Courts of Honor. On Saturday, August 6th, American Legion Post 201 and the City of Alpharetta held its 64th Annual Old Soldiers Day Parade. This years theme was: "Saluting the National Guard and Reserves - Always Ready - Always There". The Old Soldiers Day Parade began years ago as a tribute to veterans of the war between the states, but was discontinued after a few years. Twenty-eight years later, in 1952, a small group of men in Alpharetta re-dedicated Old Soldiers Day Parade in Alpharetta and started having a parade through downtown Alpharetta. Thanks to these few men and their belief in keeping this memorable tradition alive, this parade has become an annual celebration to all veterans of all wars. 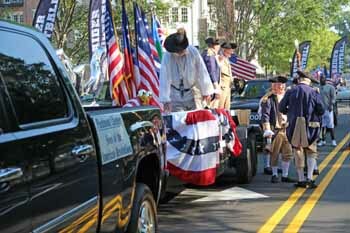 The Piedmont Chapter SAR sponsored a float representing the Georgia Society Sons of the American Revolution. The Georgia SAR Color Guard presented the colors and led the parade. Marching color guard members included NSSAR Secretary General Larry Guzy, GASSAR President Allen Greenly, GASSAR Sr. Vice President Wayne Brown, Mount Vernon Chapter President Shep Hammack, Button Gwinnett Chapter President Bill Palmer, Button Gwinnett Chapter member Mike Watkins, GASSAR Membership Committee Chairman Gordon Woodard. The Piedmont Chapter has participated with uniformed members in this parade since 1998. The Alpharetta City Band began playing at 9:15 a.m., the Memorial Service at 10:00 a.m. and the parade began at approximately 10:30 a.m. The American Legion Post 201 served FREE hotdogs and beverages at the American Legion at 201 Wills Road in Alpharetta until 4:00pm. 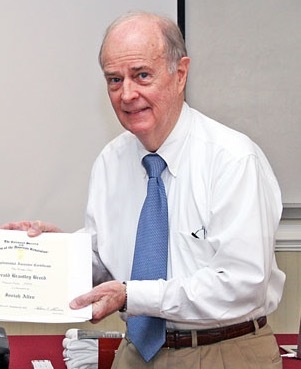 Our Speaker for the August meeting was our own compatriot Rick Reese, who's presentation was on the reconstruction of his Patriot and 4th great grandfather's home in TN. After the war ended, Revolutionary War Patriot William Ebenezer Brockett moved from North Carolina. He built his family home in Smith County, TN, and in that house he raised 11 children. The home remained in the Brockett family until recent times, after which it fell into disrepair. This is the story of the home's discovery, relocation, and painstaking reconstruction to its former image. Rick was contacted by Jeff Page, the man doing the reconstruction of the Brockett home. Information and photo provided by George Thurmond. The keynote speaker was one of America's premier war correspondents, Joseph L Galloway. 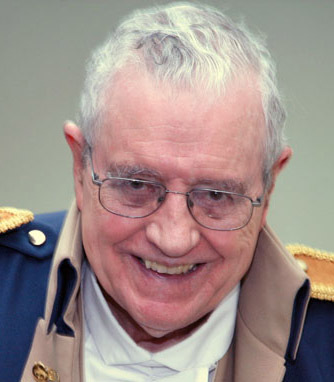 He is a native of Refugio Texas, and spent 22 years covering 4 tours as a war corespondent in Vietnam, and Desert Shield/Desert Storm, riding with the 24th infantry Division (Mech) into Iraq. He is co-author with Lt. Gen. (ret) Hal Moore of the national bestseller 'We Were Soldiers Once... and Young Men'. It sold more than 1.2 million copies. On May 1, 1998, Galloway was decorated with the Bronze Star Medal with V for rescuing wounded soldiers under fire in the Ia Drang Valley - November 1965. 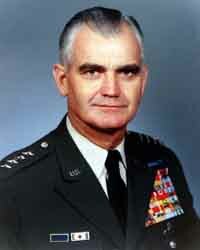 He is the only civilian to have been awarded a Medal of Valor for actions in combat during the Vietnam War. The photo is from the Veterans Day Commemoration held at Veterans Park, at the Atlanta History Center. Georgia SAR Color Guard: Shep Hammack, George Thurmond, Wayne Brown, Larry Guzy and Paul Prescott. On Monday 12/12/2016 Piedmont Chapter color guard members Rick Reese, Jr. and Rick Reese, III, along with Mount Vernon Chapter color guard member Bob McCleskey, participated in an open house at the Georgia Governor's mansion. 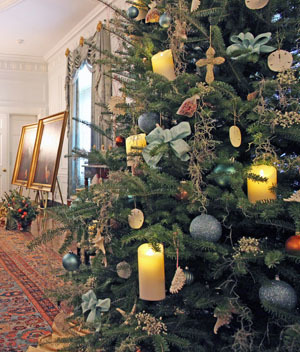 They were accompanied by Martha Stewart Bulloch DAR members Linda Reese and Priscilla Leming, all of whom participated as hosts and hostesses for the tour of the Georgia Governor's mansion while it was opened to the public during the Christmas season. Rick Reese III, and Bob McCleskey. Photo by Linda Reese. On Saturday, December 17, 2016, Color Guard members from The Piedmont Chapter and the GASSAR (Georgia SAR) participated in Wreaths Across America at the Marietta National Cemetery. Despite the cold rainy weather, a large crowd gathered to honor our fallen soldiers from all wars beginning with the Revolutionary War. 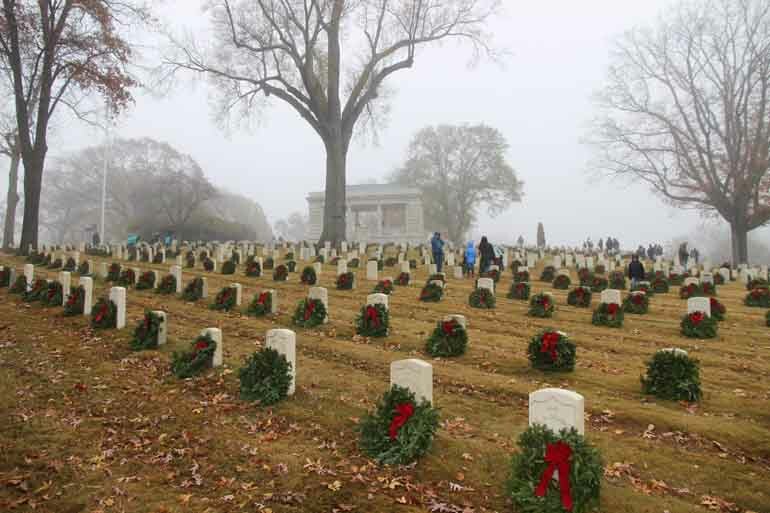 Over 10,000 wreaths were placed at the headstones in the cemetery by all of the attendees. Participating in the event were: Piedmont Chapter President Rick Reese, Jr., who gave a proclamation on the behalf of the GASSAR. Compatriots Rick Reese III, of Piedmont Chapter, Shep Hammack andRandy Pollard of the Mt. Vernon Chapter, and Wayne Brown of the Captain John Collins Chapter were also in attendance. Compatriots Bill Kabel and Bob McCleskey represented the GASSAR at a ceremony at the Roswell Presbyterian Church in Roswell GA. 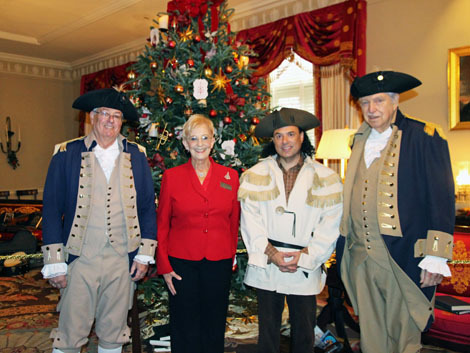 The annual event honors America's fallen military heroes each December. Ceremonies are also held at Arlington National Cemetery in Washington DC, as well as all National Cemetery locations in all 50 U.S. states, including the new Georgia National Cemetery in Canton, Georgia.